Carlton’s life in the kitchen goes back a few years. Well, more like maybe 50 or so. Today, in the United States, people still want to eat Carlton’s food. Carlton’s patented jerk sauce will soon be on the shelves in local markets for customers to enjoy. But one thing Carlton doesn’t want eaten up is his profits. “People have offered to help me in my business, but I won’t take it. I am not going to kill myself for somebody else. We are keeping it as a family business,” Carlton explained. Carlton and his wife Paulina of many years are both partners in life and in business. Carlton, a student with Literacy Volunteers of America who is working on his reading and writing skills, is the creative director of the household, while Paulina is the business mangaer. In about three months, “Castro’s Jerk Chicken” will be off and running. Castro was Carlton’s boyhood nickname in Jamaica. When Carlton is not in the kitchen, he is cooking up other ideas. His latest is a phone application being endorsed by Apple. It is a live lawyer application designed to help drivers who are randomly stopped for traffic violations of which they are not aware, to speak to a lawyer. This project is still simmering, but Carlton and Paulina hope to serve it up soon. 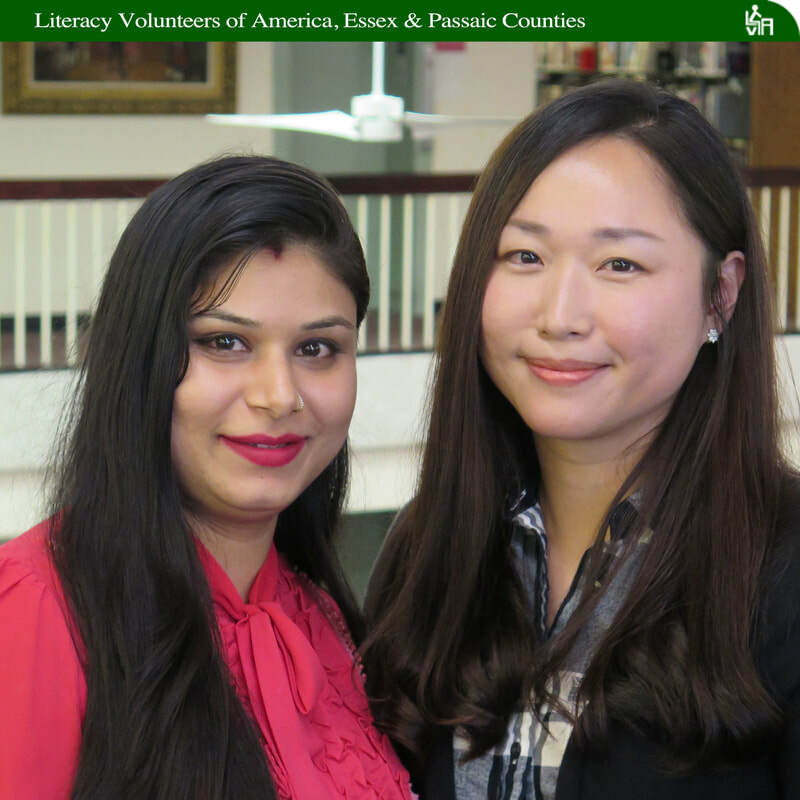 When Gurpreet and Seung Hui (Erin) came to Literacy Volunteers of America to improve their English, they learned more than a new language. They learned the value of making new friends in a new country. Having studied together with their tutor, Charles Bateman, for less than a year, these complete strangers now refer to each other as “sisters.” They go to movies together, coffee shops together, and are both first place winners in the NJALL writing contest. Gurpreet earned the title of First Place in the Non-Fiction category and Erin walked away with First Place in the Memoir category. Erin also wrapped up second place as well in the Non-Fiction Category. Neither could have achieved such success without each other’s support and encouragement. Both were hesitant when asked to enter a submission to the contest. Each had that gee-I-don’t- know-look as their eyes darted away from LVA staff when invited to participate. Six months later after learning they were contest winners, both wear broad smiles and acknowledge each other’s love and support. And, the ladies have more in common than their love for each other and love of writing. In their respective native countries, Gurpreet worked as a nurse and Erin was employed as an elementary school teacher. 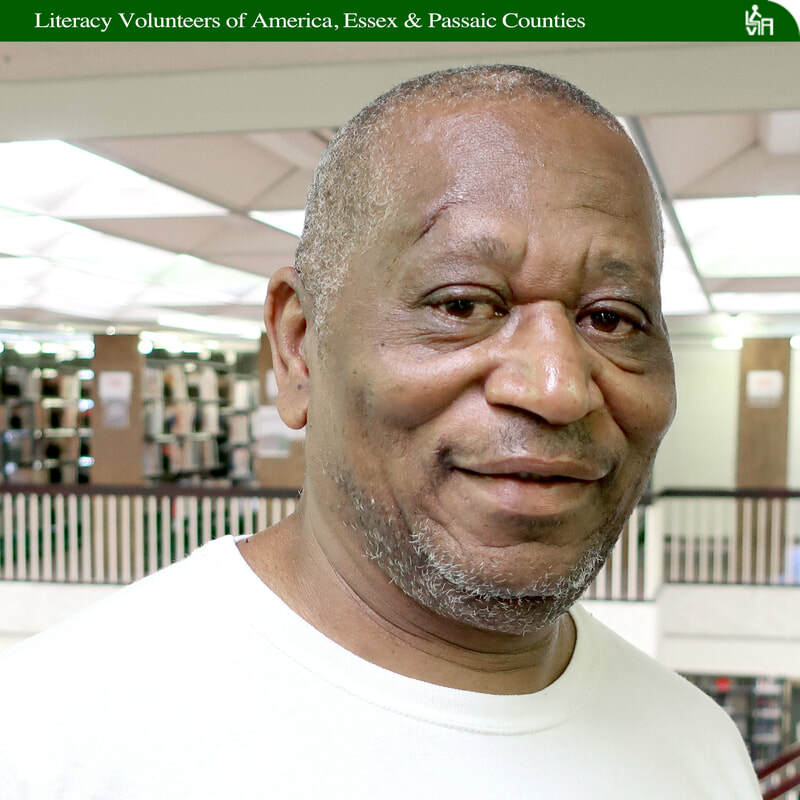 With the help of Charles, both plan to join the workforce in the United States. Only their Visas are holding them back and that issue should be resolved soon. If you think business teachers are mundane, predictable, or even boring, you likely never met Professor Edilma. It’s normal for this Colombian native to burst into a room with both barrels blaring, her demeanor full of energy, humor, and totally unscripted. It’s possible that the wit she’s come to be known for came from years of jostling with siblings, of which there was no shortage in her family of five brothers and four sisters. Of them all, she is the only one who went to college, and she earned a degree in business from the University of Medellin. She didn't stop there either. 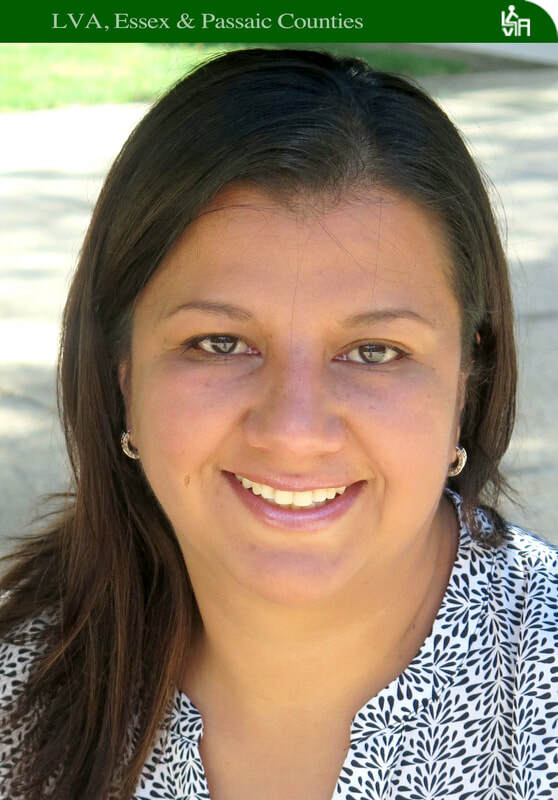 She traveled to the nation’s capital, Bogota, and earned a Master's Degree in Business. Edilma became a professor and taught business for 15 years, encouraging students along the way to focus on critical thinking rather than the tedious memorization of pages from their textbooks. She worked in business as well taught it, managing a funeral home for 16 years, after working her way up from secretary. She eventually made her way to the U.S. and married. 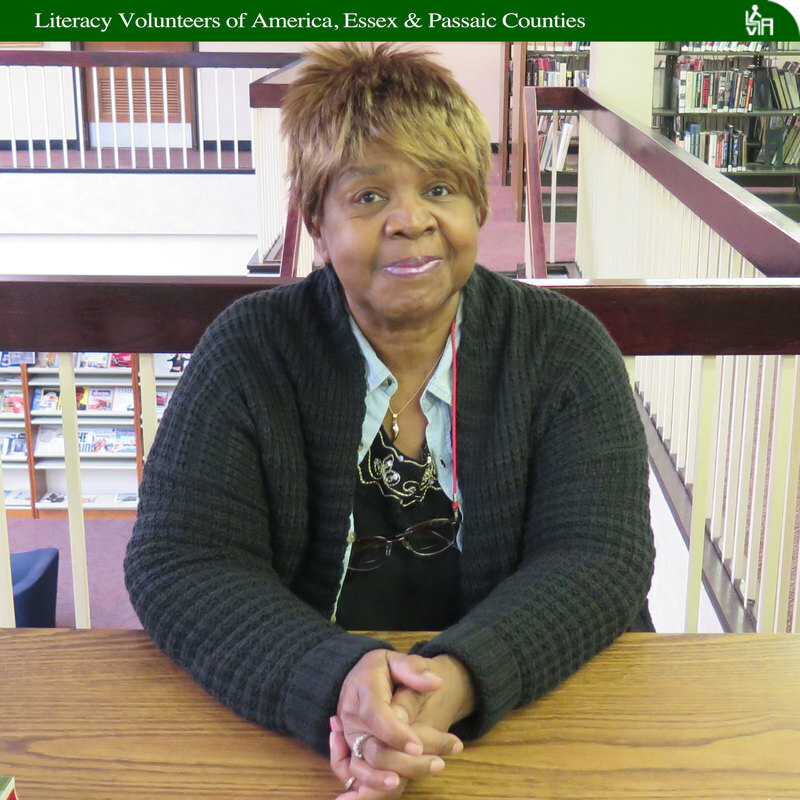 It was her husband who persuaded her to enroll in literacy classes in 2014. Edilma spends eight hours a week with her tutors. Susan also painfully recalls incidents of mortar attacks and explosions near their home. In 2012, the family separated and Susan fled with her daughter, Dana, 16, and son, Zuhair, 15. She had to leave behind her eldest daughter, Judy, so that she could finish her senior year of high school. Judy stayed behind with Susan’s husband and both joined the family in the United States the following year. Since her arrival in the United States, Susan has again become a student. 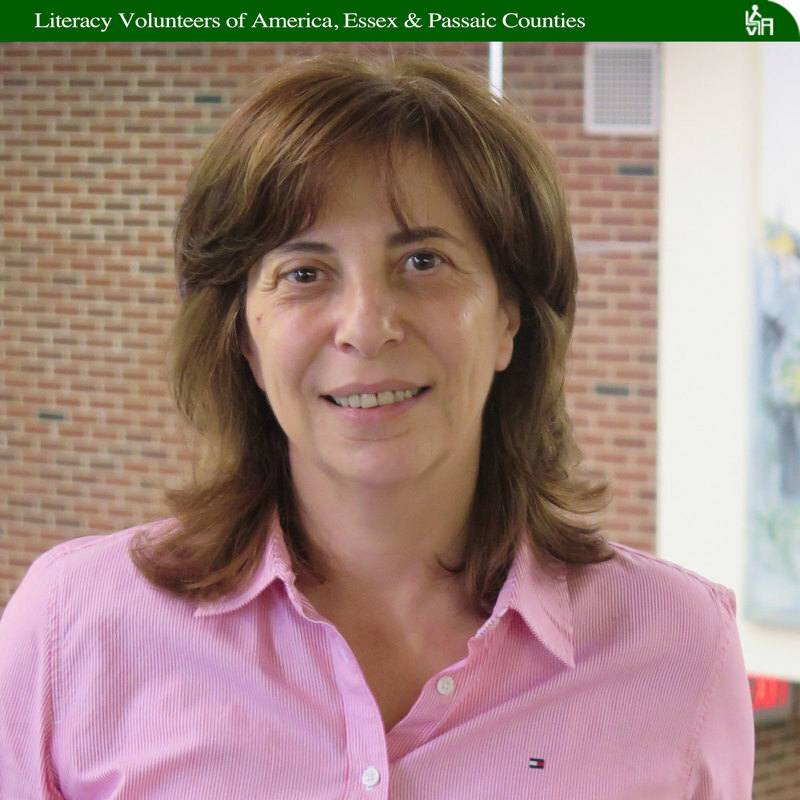 Having earned a Bachelor of Science degree in accounting in Syria, Susan found LVA and quickly enrolled in conversation classes in Passaic. 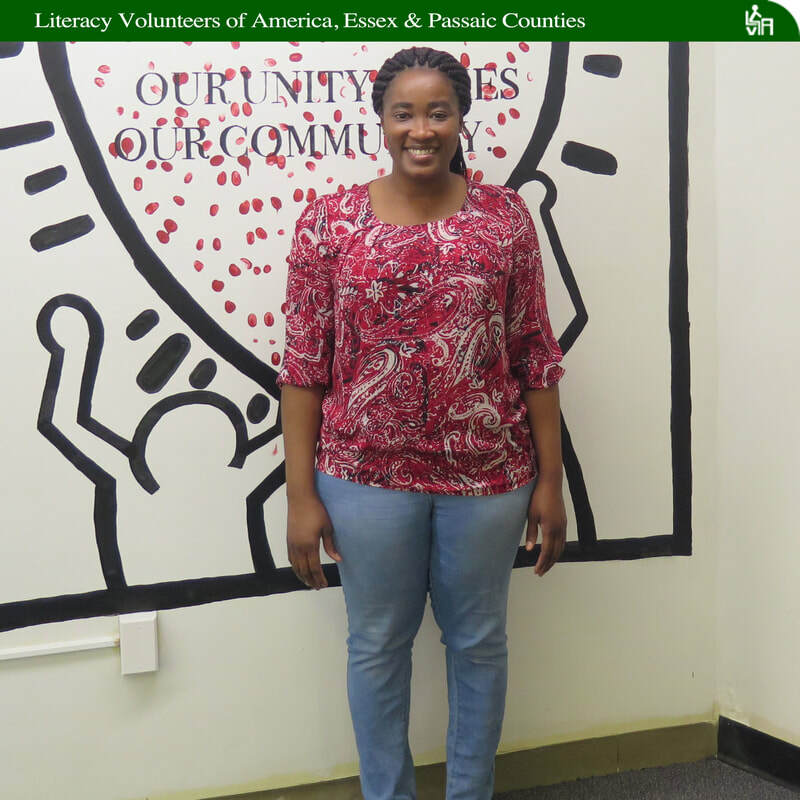 She meets with her tutors for 10 hours per week and volunteers in the LVA office twice a week. “I’m really happy with what I do. It allows me to meet lovely people, enhance my speaking and spend my time in a useful way,” Susan said. It is no surprise that Susan won “Student of the Year Award Passaic County” for LVA. She recently tested out of being an ESOL student and her next test will be the same test given to Basic Literacy (native English speakers) students. 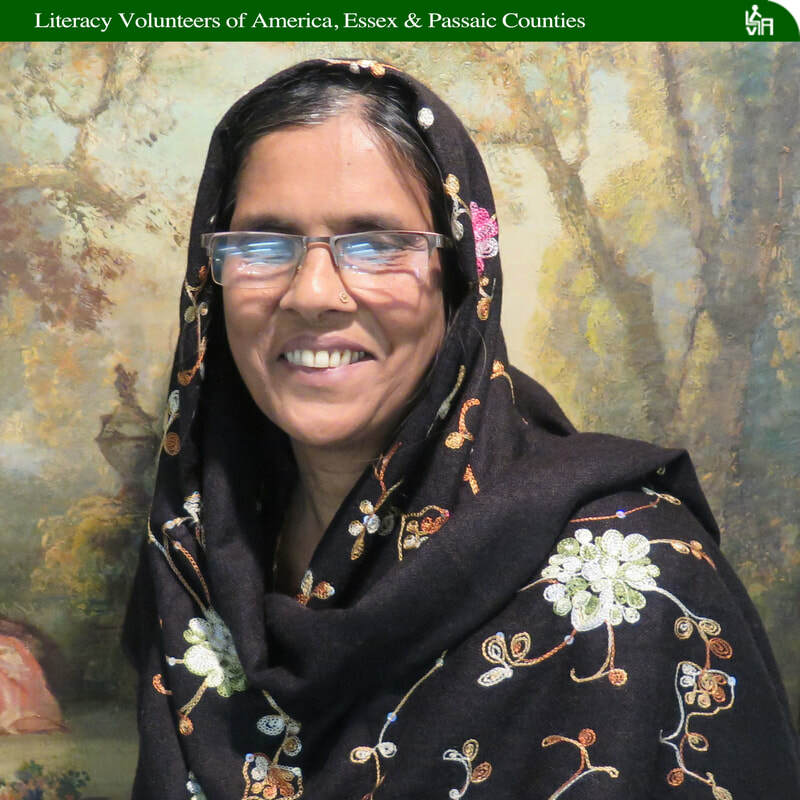 Rokeya Akter was a primary school teacher in Bangladesh for 35 years before moving to the United States. Now she is on the other side of the desk as a student with LVA where she is learning English. Rokeya and her husband raised their three children before he retired in 2011 from the institute. Now part of the family lives in Bloomfield and one daughter and her family remain at the family home in Bangladesh. Rokeya stays close to her daughter and grand-daughter in Bangladesh by using her tablet for talking or Facetime every night at 8 p.m.
At age 76, there's little practical reason for Shalga to earn a high school diploma. Her working life is likely over, her daughter and five sons are grown and college educated, and there are no universities she she seeks admission to, at least not for now. But the septuagenarian is at it five days per week, studying with two LVA tutors and enrolled in a Newark academy that focuses on rigorous instruction. Shalga started with her first tutor, a woman who was much younger than she, but Shalga was not at all intimidated. As a matter of fact, this student who stands at about 5’ 10” is not intimidated by much of anything. Prior to staying home with her children, Shalga was a psychiatric aide in a hospital and also worked for the health department where she presented lectures on education and prevention of sexually transmitted diseases. There was the severe early childhood injury that left her hospitalized for years and living far from her mother and father; there was no opportunity to attend school until she was well into her teen years; and there was the wrangling with Nepal’s caste system and social class structure in order to overcome differences and hard feelings between her family and her future husband’s. But she never gave up. 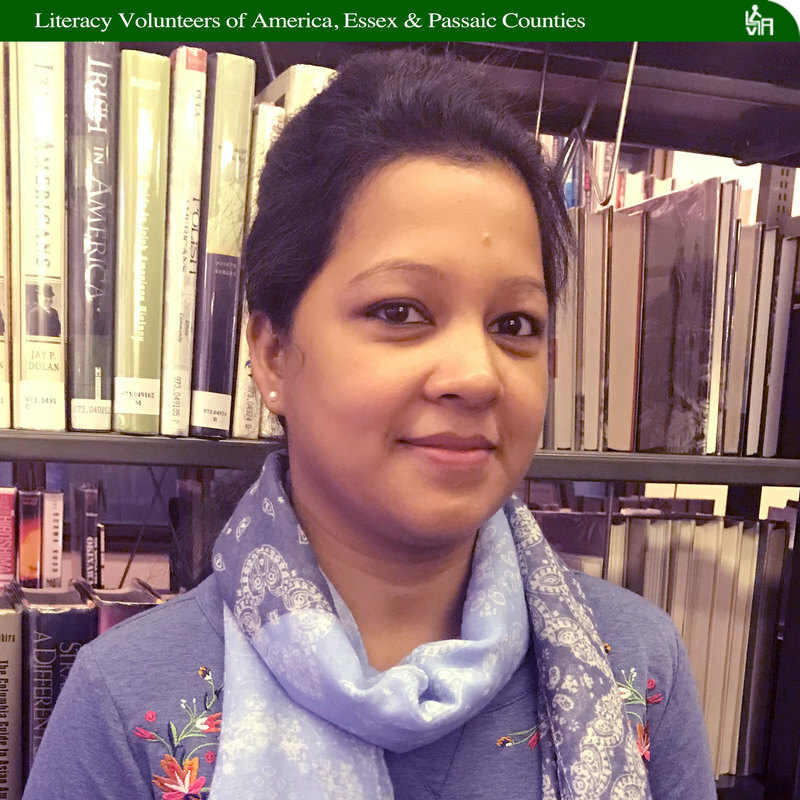 The youngest of 10 children, all professionals in their respective fields, Sharmin had just completed her master’s degree in history in the city of Hobiganj. Isolation is not uncommon among new immigrants. 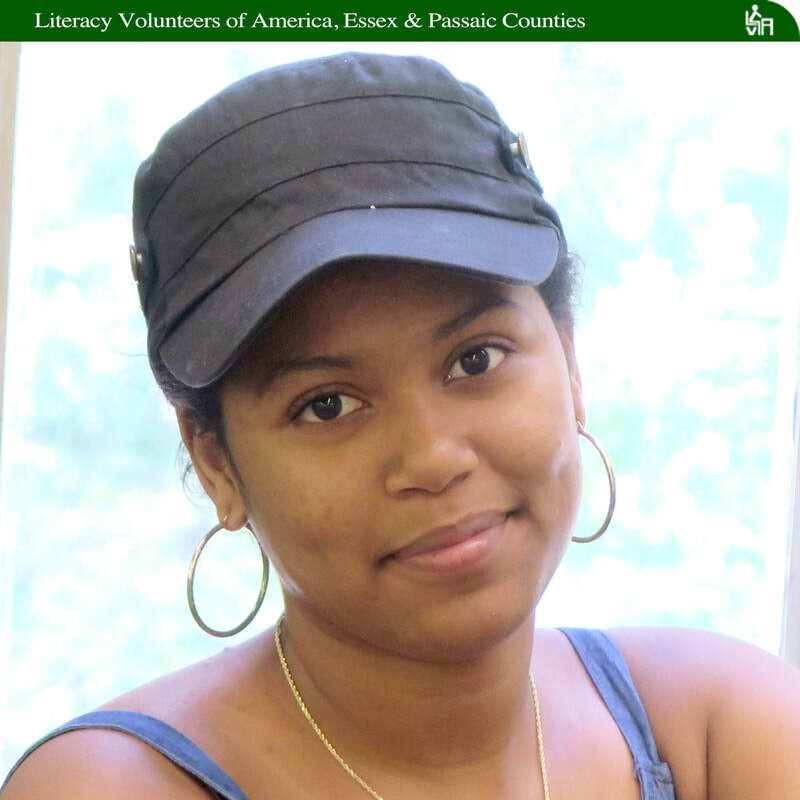 Many Literacy Volunteers of America students report that they are uncomfortable asking for directions, ordering in a restaurant, or shopping in a supermarket. Robin and Sharmin have made great progress over the past five months. As for Sharmin, she plans to continue with her weekly tutoring sessions and daily classes. “My goal is to go back to school, get a better job, raise a family, and be able to communicate with my children’s teachers,” she said. This once lonely young woman, separated from her large, close family, is now on a mission. “You just have to be interested in something so your dreams can come true,” Sharmin said. Her tireless dedication to learning has Sharmin well on her way to living her dream. 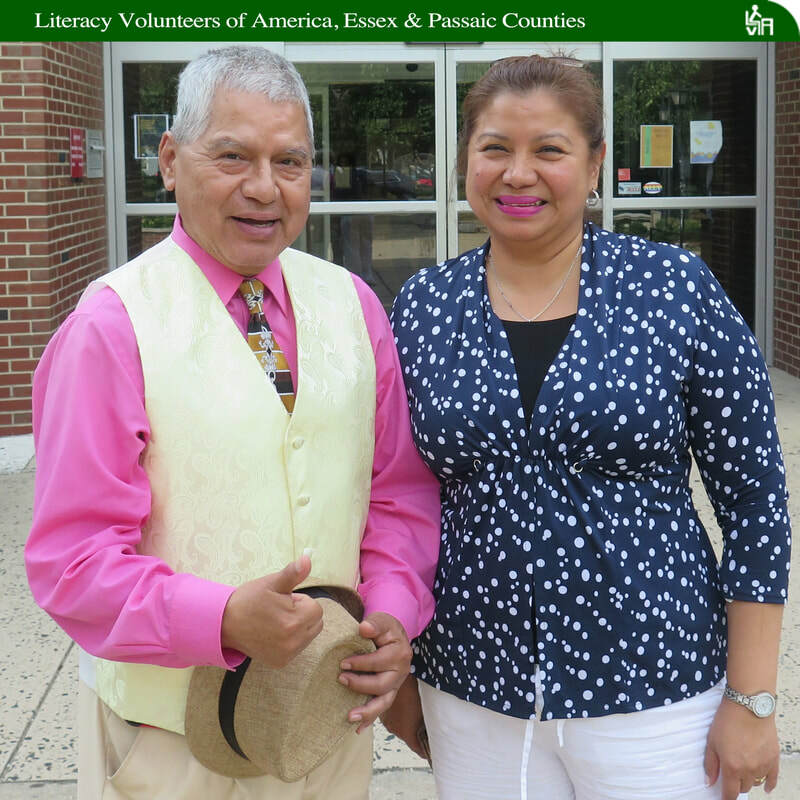 At age 73, Julio is the oldest student enrolled in our ESOL program. And probably the best dressed. Often seen at the Bloomfield Public Library, garbed in a button-down vest, tie, and his trademark small-brim Fedora hat, he is distinguished - - the picture of composure and tranquility. One story his family likes to share took place when Julio was only nine years old. As he read a comic book at a store in his native Guayaquil, Ecuador, he saw a man trying to look up the dress of his older sister. Julio grabbed a broomstick, whacked the man hard across the knee and ran off, said his daughter, Marisol Ramirez, a worker in LVA’s Essex County office. The story doesn’t end there. The man, who turned out to be a plainclothes federal police officer, returned to the comic book store for a week, accompanied by several police friends, in search of an aggressive kid who left him with a limp. He took on other cases as well, including divorce cases, and he was the only attorney who managed to get rid of a squatter who stayed in a building for five years without paying rent. About three decades ago, Julio’s life completely changed when he began to study the Bible. Three years later, he became a Jehovah’s Witness. “When I started to read the Bible, the word got into my heart and my aggressive personality was changing day by day,” Julio explained. “I read the Bible every day. A year ago, he decided to study English, after more than two decades in the U.S.
Julio was recently named Essex County’s Student of the Year. He said he plans to continue his studies and sees age as no impediment to learning but a blessing. When LVA student Gloria Orjuela and her young family first left their native Colombia in 2010, their first stop in North America was Canada. After a long immigration process, Quebec became their new home. Gloria left an 11-year career as a budget coordinator for one of the biggest telecom companies in Bogota, Colombia’s capital city and chose not to seek employment upon her arrival to Canada. Instead she became the Chief Financial Officer for her family and overseer of their relocation. While her husband worked as an electrical engineer, Gloria stayed at home with her newborn baby girl and her school-aged daughter attended elementary school. Gloria used the time her baby was napping as an opportunity to study English. “I did not want to go to school during the day because of my baby,” Gloria said. The family eventually relocated to Calgary, in the Canadian province of Alberta. “Calgary has a lot of government funded programs that help immigrants to improve their English skills and also offer employment training,” Gloria said. 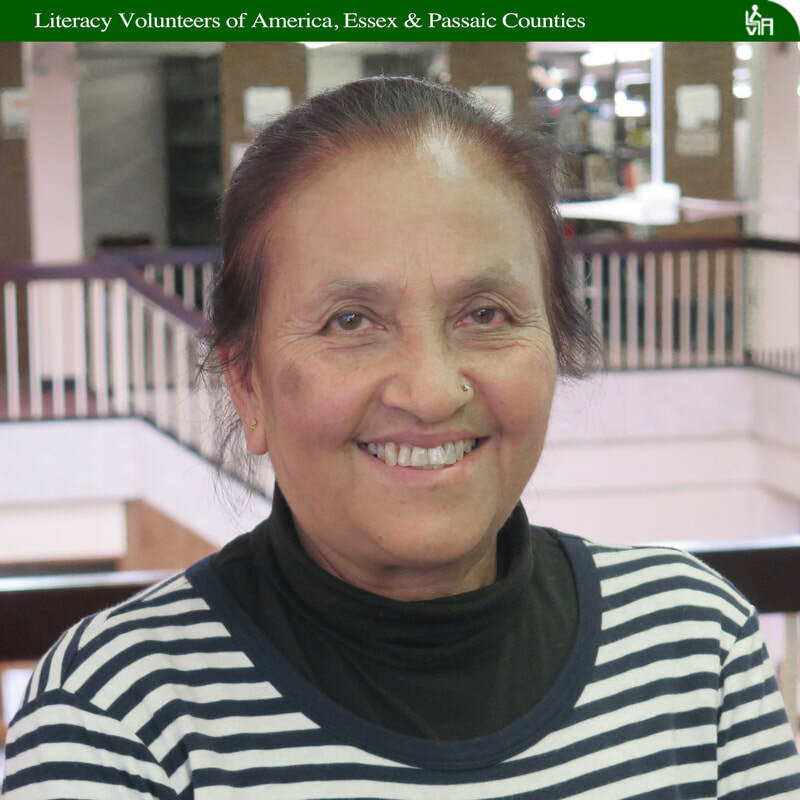 By the time her infant daughter was 11 months old, Gloria’s language skills were so proficient that she was able to accept a position as an assistant teacher where her daughter attended daycare. At night, Gloria attended school. Due to lots of hard work and efficient scheduling, Gloria continued her English studies and graduated from a job-training program. Within six months, she was gainfully employed as an accountant. 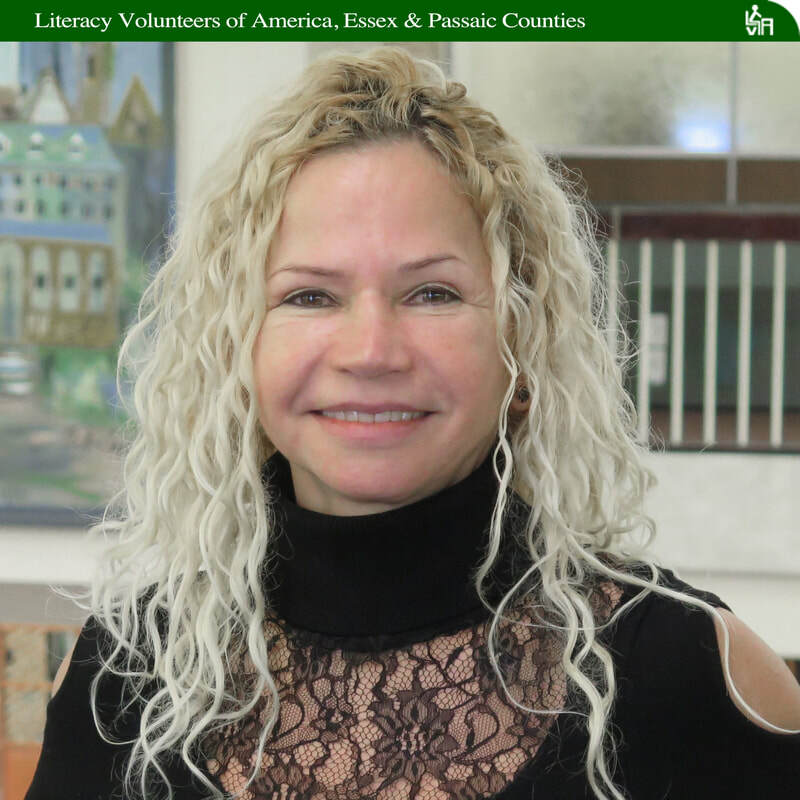 Her new position dovetailed with her previous education in Bogota where she earned her bachelor’s degree and specialized in financial management. When not working, Gloria volunteered at Making Changes, an organization designed to help immigrant women to achieve their goal of entering the workforce in Canada. “This was a wonderful opportunity to learn about other people’s cultural backgrounds,” Gloria said. Once again, keeping the family together due to her husband’s job, Gloria stayed behind in Canada with her children so they could finish out the school year before they joined her husband in the United States. As the family’s relocation specialist, she carefully researched schools and a nice place to raise a family. Lucky for LVA, Gloria chose Bloomfield.